Many dog owners mistakenly believe that clothing and footwear are simply accessories for a dog. And while they do give our pets a new look and some style, the truth is that clothes for dogs can also have very real health applications. Ideally, the best dog clothes you pick for your pooch are safe, comfortable and functional, but let's talk a little more on how to choose the right ones. If you are unsure as to whether or not your pet could benefit from doggy clothing or footwear for health reasons specifically, the first step is always to consult your veterinarian or other expert. 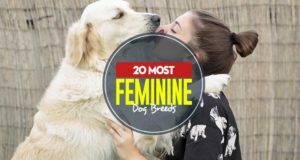 They should be familiar with your dog's unique condition and the traits of your dog’s breed, and will give you a better idea on your dog's needs in terms of clothes. When shopping for the best dog clothes or dog footwear, and particularly winter dog clothes, many pet owners make one single mistake: they focus on the looks alone. Remember that you're shopping for your pet, and not yourself. You may want your Fido to look adorable when you take him to the dog park, but you have to keep his comfort and clothes' functionality in mind too. Clothing or footwear for dogs that is too tight can cause chaffing and decrease range of motion. If dog clothing or footwear is too loose, it can be a hazard that may cause tripping, choking or other injury. Following these health tips below will ensure that you pick out the best dog clothing and footwear that both looks good and is safe for dogs. One of the most common reasons that dog owners should consider a variety of dog clothing types or dog booties for their pets is the physical build of the animal. These physical characteristics can contribute to a faster drop or elevation in a dog’s body temperature through a lessened or increased ability to maintain body heat. Dr Susan Nelson, professor of clinical sciences at KSU Veterinary Health Center, explains how with the weather changes, such as hot summers or cold winters, there are certain dangers for dogs, and some pet clothes may help in protecting them. Small dogs, like small children, have much smaller bodies. This means that they can become overwhelmed with the heat or cold much faster. Small breeds benefit from wearing cooling vests in warmer temperatures and sweaters or coats in colder weather. Colder weather is similar. When choosing winter weather clothing, it is important to select the best dog clothes designed for warmth and not fashion. For example, in icy winter weather, a windproof, waterproof insulated jacket would offer the best protection, where a simple knitted sweater would not. Slender built dogs, like sight hounds (greyhounds, borzoi, Saluki, whippets, etc. ), have a much lower body fat percentage than other breeds. This means that they are much more likely to experience hypothermia in winter temperatures as a result of “lack of insulation”. These pets should always wear dog sweaters and/or dog coats in the winter that offer maximum coverage. If you're cold, it's likely your dog may be cold too. A dog’s fur plays an important role in maintaining body temperature. Dogs without fur or dogs with sparse coats can not only be overcome by high temperatures, but they also quickly lose body heat in colder weather too. These breeds should always wear sunscreen during summer months to protect from sunburn. 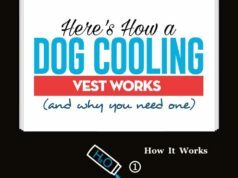 Additionally, hairless dog breeds can benefit from cooling vests in high temperatures. You should always dress them in a dog coat or jacket in cold temperatures too. The best dog clothing will need to be used as a substitute for a fur coat with hairless breeds. While densely coated breeds like the Saint Bernard or Newfoundland are well protected in the colder months, they are particularly susceptible to overheating when it's warm outside. 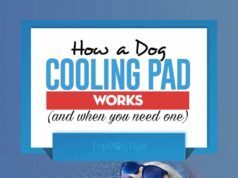 These dogs should not be kept in particularly warm climates at all, and when summer months hit in most other areas, these dogs can benefit from cooling vests to prevent elevated body temperatures. In addition to the physical characteristics that are inherent to a dog, there are also some health conditions that can put a dog at higher risk for hypothermia or hyperthermia. These pups can benefit from the best dog clothes and footwear to help them to maintain a safe body temperature. Underweight dogs lack the natural insulation needed to maintain a healthy body temperature and protect themselves from the harsher environment. To prevent rapid loss of body heat in winter months, dogs with low body weight (such as those rescued from neglect situations) should always wear a sweater or coat. These dogs should also be monitored carefully in hotter months to ensure that they are not overcome by heat. Using dog health monitors could be a great way to do that. Younger dogs, like smaller dogs, have smaller bodies that can easily be overcome by heat exhaustion. Puppies, particularly those under 6-months of age, should not spend any significant amount of time in high temperatures, although rarely require cooling vests. Puppies should be protected by dog sweaters or coats in colder temperatures to reduce the speed of loss of body heat. Senior dogs often have lower body fat content, suffer from joint discomfort, and can also be immune-compromised. All of these things mean that older dogs can benefit from sweaters or coats, leg wraps, boots, and even snowsuits in colder weather. “You should also be extra-cautious with your senior, arthritic, or frail pet during the winter. Cold weather can be especially difficult for senior pets and those with degenerative joint disease or another chronic, debilitating condition.” – Dr. Alison Diesel, professor at the Texas A&M College of Veterinary Medicine & Biomedical Sciences [read more]. It should be noted, however, that healthy older dogs or older dogs with particularly dense coats, may not necessarily require clothing for warmth. Senior dogs may also benefit from cooling vests in summer, however, it is generally more prudent (and much healthier for those with heart conditions) for these dogs to stay indoors in high temperatures. There are a variety of illnesses that can compromise a dog’s immune system and render him more susceptible to infection or illness and less capable of cooling his body normally. These dogs should be limited in their time spent outside during extreme temperatures. Unlike other health conditions, dogs with hotspots wear the best dog clothes to protect their skin from their own scratching and licking. Hot spots are particularly irritating and weather appropriate clothing can prevent a dog from causing hot spots to become infected through constant bothering of them. It is important to note, however, that in addition to clothing to prevent worsening of hot spot wounds, hot spots must always be treated with veterinary care as well. If you notice your dog developing any type of rash or serious skin condition, it is best to have him checked out by a veterinarian than to cover his skin and hope it goes away. Like hairless breeds, dogs with a significant amount of hair loss are less able to maintain their body temperature. These dogs, such as dogs with mange, can easily become overheated or chilled. Sweaters and coats in winter are mandatory and time outside in hotter temperatures should be minimized. Canine arthritis for dogs and cold weather can significantly exacerbate symptoms. The best dog clothes, such as leg wraps, sweaters, coats, and boots can insulate aching joints and reduce pain in winter months. Moreover, because it's difficult to notice signs of arthritis in most dogs, dressing them up in cold weather anyway is the most sure-proof way to prevent both pain and further development of joint problems due to cold temperature. Dogs with nerve damage due to injury, illness, or aging sometimes walk on their knuckles as a result of being unable to feel that their feet are not positioned properly. Fortunately for these dogs, there are a number of socks, shoes and braces that can position the feet properly to avoid injury from knuckle-walking. Weakening in the hind end can cause older or injured dogs to have trouble getting a grip on flooring. Whether rising from a prone position or simply walking through a room, these dogs benefit from wearing indoor (mesh/breathable) footwear that gives them a better grip on flooring. It is important, however, that these dogs wear footwear designed to be worn indoors and only when needed so that overheating can be avoided. Lastly, the environment can play into your pooch's need to wear things like socks, shoes, coats and other dog clothing. When outside temperatures, weather conditions, or territory are extreme, dogs may require protection to keep them healthy and safe. When temperatures outside are high, but safe enough for dogs to be outdoors, cooling vests are beneficial in helping to maintain a healthy body temperature. Although sometimes costly, cooling vests are particularly beneficial for dogs that spend a lot of time hiking, doing search and rescue work or work in positions that require them to be outdoors most of the time. Ice is not only troublesome for humans, it is also dangerous for dogs. Ice can cause burns to paw pads, so warm winter dog boots are necessary to keep dogs safe. Of course, unless a dog needs to be out on ice covered terrain, he should be safely kept indoors. If you protect your home from ice using ice melts, make sure that you only use pet-friendly anti-icing products that will not harm your dog if he walks on, or even licks it. Snow can not only cause chilling of a dog’s paws, but it can also hide potentially dangerous debris that can injure paws. Dogs that live in areas that frequently experience snow or dogs that work in snow covered terrain can benefit from warm solid soled boots for protection. Dogs residing in areas that experience particularly cold temperatures can benefit from a number of clothing items from boots to sweaters to coats. Many factors should be taken into account when selecting cold weather clothing for dogs such as a dog’s body weight, coat density, overall health, age, and breed. 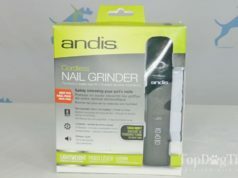 Dogs that take part in sporting events or jobs, that exercise regularly in tough terrain, or that simply live in areas with terrain that can be difficult to navigate, benefit from wearing footwear. From hot desert sands to rocky mountain paths, boots help a dog to maintain a grip and avoid damaging paw pads. Dogs that take part in sports or that work in situations that require them to cover extensive distances can benefit greatly from boots. Just as human feet can become injured from traversing long distances, so too can dog’s paws. Hard soled boots can prevent wearing, splitting, and cracking of paw pads. Next articleCan Dogs Get Poison Ivy?